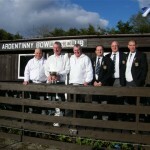 Sunday 2nd May saw 48 bowlers descend on Ardentinny to compete for the Robinson Cup. After a short welcoming speech by Ardentinny B.C. Pres. G.Smith, competition commenced with the first prize winner of the day being Curly Black of Colintraive achieving the first toucher. Unfortunately he was sorely disappointed when he discovered the prize wasn’t encased in glass. 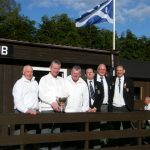 The day progressed with varying standards of bowling, accompanied by varying degrees of success but whatever level was attained everyone enjoyed the day and competed in a friendly and sporting manner. The weather was a bit more benign than usual, although cold with a mix of sunhine and showers, one of which was torrential. Semi finalists were as follows: J.Adamson (skip), A.Marshall, D.Menzies. 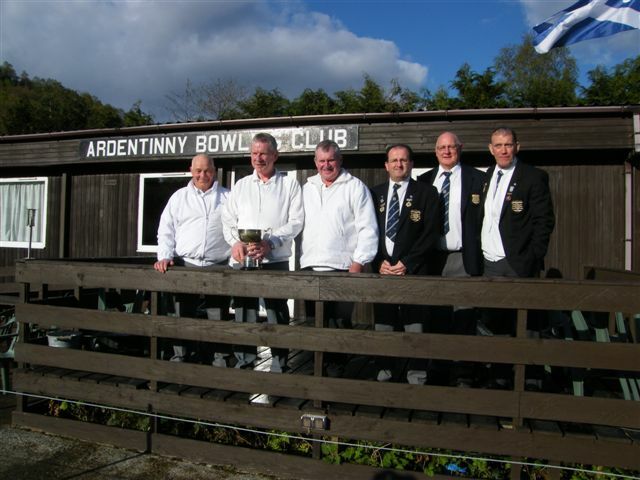 Ardentinny B.C. v D.Beattie (skip), A.Kennedy, S.McNab. 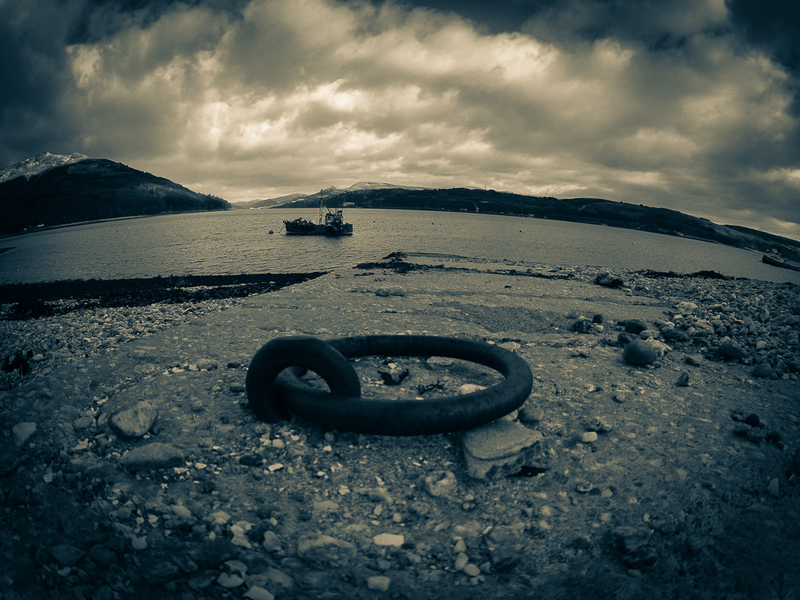 Upper Cowal B.C. and P.Good (skip), A.Campbell, J.Smith. Pollockshaws B.C. V M.Martin (skip), J.Gilchrist, D.Reynolds. 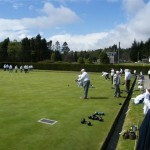 Rothesay B.C., with the teams from Pollockshaws and Upper Cowal making it through to the final. 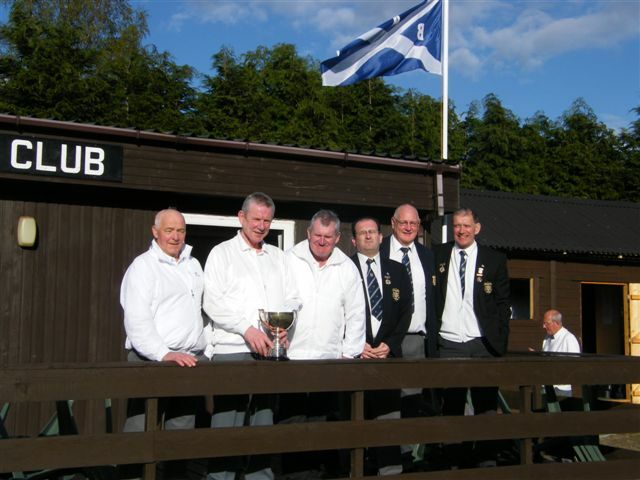 In a competitive and hard fought final the triple from Upper Cowal retained the Trophy, which was no mean feat considering the standard of bowls that were being played, and they had even less money than that other team that won two in a row! Margaret Robinson presented the Cup and prizes to the recipients. Alex Kennedy then gave a short speech of appreciation in which he thanked the Umpire and Score keeper Lettie Dempster and the ladies for all the hard work they had put into preparing and serving the morning coffee,tea and toast, the excellent lunch and for the provision of the afternoon tea and last but not least the overworked drinks dispenser. Despite making a quick exit back to the wilds of Lochgoil the triple of A.Hammond (skip) D.Mclaughlan, R.Fletcher WILL be getting the booby prizes they so richly deserve sent to them. 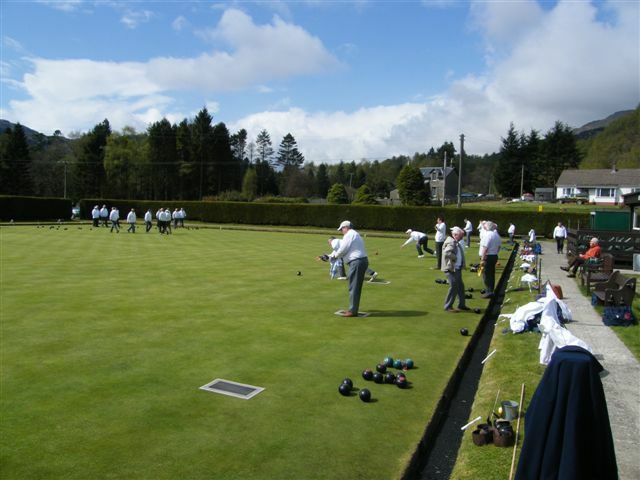 The Committee would like to thank the following, WESTERN FERRIES OUR SPONSORS, All the bowlers from kindred clubs who travel from far and wide to participate in the competition IN ALL SORTS OF WEATHER. Also, members who assisted in the preparation of the green and surrounds, members and non members who worked so hard throughout the day. It is greatly appreciated. A heartfelt thanks to all,without your input the day would not happen. I feel that i must leave a comment on the gents open day. 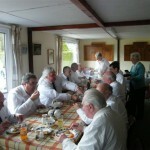 Numerous ‘boolers’ , from, far and wide on the day(Lesmahagow in darkest Lanarkshire for one !!!) 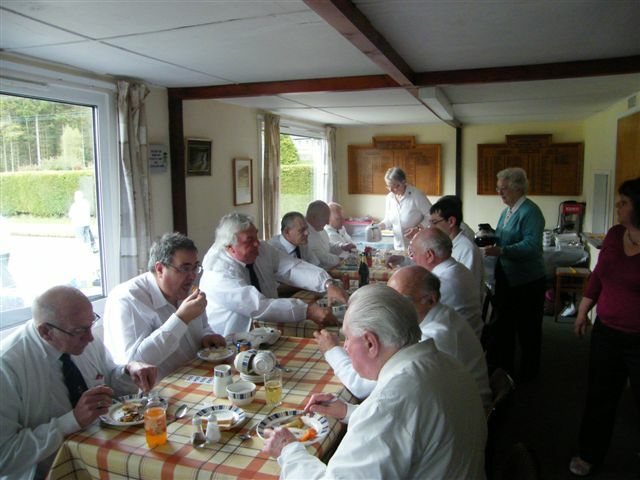 , made comment to myself with regards to the high standard of food and hospitality supplied by the ladies of Ardentinny Bowling club and their friends and relatations, many of them further stating that it had been the finest they had recieved at any green, for a long time. The ladies concerned all did the club proud, many thanks to them all.